Gian Lorenzo Bernini ( 7 December 1598  28 November 1680) was an Italian artist/sculpture who worked principally in Rome. 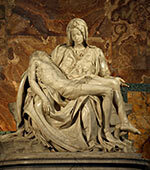 Bernini was the leading sculptor of his age and also a prominent architect. A great student of classical art, he is credited with being a leading figure in creating the Baroque style of sculpture. Bernini’s sculptures are admired for his capacity to capture an almost shockingly realistic experience of humanity. In addition to being a sculptor, he painted, wrote plays, and designed metalwork and stage sets. He lived primarily in Rome and enjoyed the patronage of the Popes he lived under. Bernini worked under Pope Gregory XV, and Pope Urban VIII. 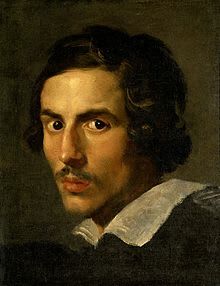 Bernini was also a leading figure in the emergence of Roman Baroque architecture along with his contemporaries, the architect Francesco Borromini and the painter and architect Pietro da Cortona. Early in their careers they had all worked at the same time at the Palazzo Barberini, initially under Carlo Maderno and, following his death, under Bernini. Later on, however, they were in competition for commissions, and fierce rivalries developed, particularly between Bernini and Borromini. Despite the arguably greater architectural inventiveness of Borromini and Cortona, Bernini’s artistic pre-eminence, particularly during the reigns of popes Urban VIII (1623–44) and Alexander VII (1655–65), meant he was able to secure the most important commissions in the Rome of his day, the various massive embellishment projects of the newly finished St. Peter’s Basilica, completed under Pope Paul V with the addition of Maderno’s nave and facade and finally re-consecrated by Pope Urban VIII on 18 November 1626, after 150 years of planning and building. Bernini’s design of the Piazza San Pietro in front of the Basilica is one of his most innovative and successful architectural designs. Within the basilica he is also responsible for the Baldacchino, the decoration of the four piers under the cupola, the Cathedra Petri or Chair of St. Peter in the apse, the chapel of the Blessed Sacrament in the right nave, and the decoration (floor, walls and arches) of the new nave. 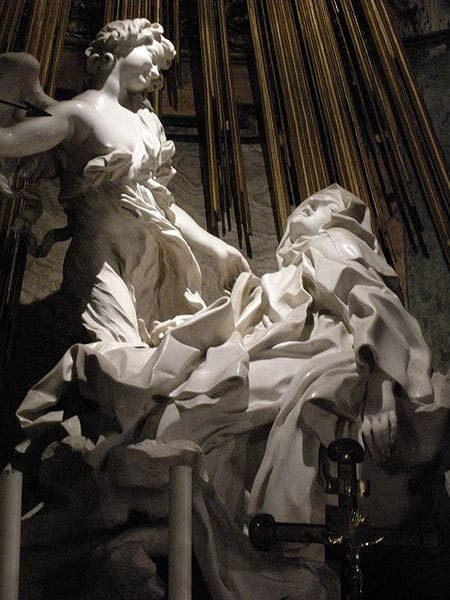 One of Bernini’s greatest works is the Ecstasy of St Therese in the Cornaro Chapel. 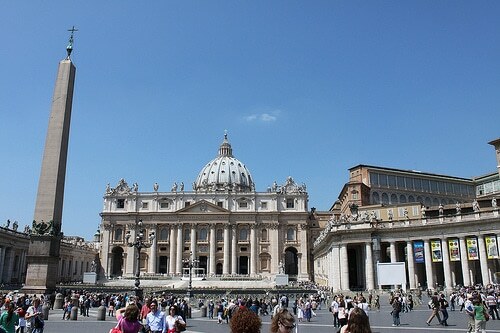 In architecture, his most important commission was designing the Piazza San Pietro in front of the Basilica in Rome. Unfortunately, Bernini was guilty of having his girlfriends’ face slashed when he realised she was having an affair with his brother. Soon after this incident, at age forty-one, Bernini – under orders from Pope Urban – married a twenty-two-year-old Roman woman, Caterina Tezio, in an arranged marriage. She bore him eleven children. His biographers say after his condemnation for the incident with his girlfriend he became more religious. 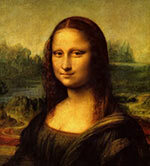 10 Greatest works of art of all time. Including The Pieta and The statue of David by Michelangelo; Ecstasy of St Therese by Bernini, and Sunflowers by Vincent Van Gogh. 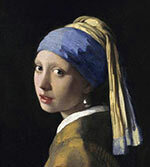 10 most famous paintings – Includes famous works such as; The Mona Lisa, The Last Supper, The Scream, The Girl with a Pearl Earring.